Thank in advance for any help, really. So, I am installing a system In an 08 gt mustang with the shaker 1000 system. I am taking out the rear subs and replacing them with a new amp and sub, but I would like to keep the front door subs functional. 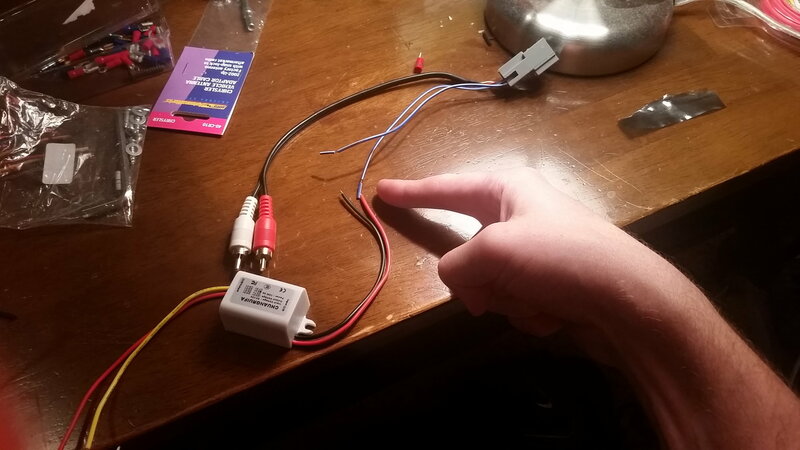 I have the metra 70-5521 harness and a 12v to 5v regulator to prevent the popping sound when it turns on (i have since seen people using resistors but since we no longet have a radio shack, i dont feel like waiting for one to get here, and im pretty sure wal mart or lowes doesnt carry them and theis will work just as well). I am pretty sure I know how it works but would like some confirmation before I solder. 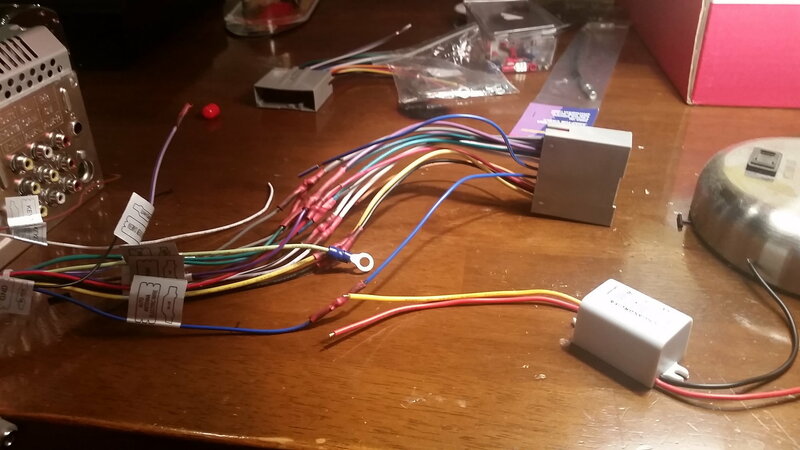 * (See first pic) Do I connect both of the blue wires to the red wire on the regulator, and then ground the black wire on the regulator? My main question is where exactly do I connect the yellow and red wires on the output side to? The blue wire from my new head unit? It is labeled auto antenna electric wire. And iv already soldered the blue to blue from the main part of the harness, should I un do thay and solder in the voltage regulator output to the blue wire, leaving the blue wire from the main part of the harness unused? (See second pic) And just so im clear, the red and yellow are soldered together and then soldered to the blue antenna wire? After that I should be done, just hooking the rcas into the front RCA output? Also iv seen that people usually just use the white rca, not both, is this necessary? Thanks for any help at all guys - Cbird. So Im wondering if I just wire in the yellow on the regulator into the yellow (constant) on the head unit's receiver, and same with the red. So would both then have a 3 way splice, with the yellow from the main harness, the head unit harness, and the regulator?